Pale (adj) Definition - "light in colour or shade, inferior or unimpressive." I have always felt 'inferior and unimpressive', but I like to come across as happy and positive. I'm not saying that that isn't me, because it is, but deep down I think that there is definitely a lot more to me and that there are other things going on. It's very easy to just fake happiness and I really do believe in the saying 'You've got to fake it, to make it.' People want to see the persona, the OOTDs and the pretty Instagrams - not me sat in my pyjamas, with my hair clipped back, eating mash potato, over thinking life and feeling sorry for myself. (...Yes, I really do that). I can't count the amount of times I've said to my Mum, 'I feel like I'm lying' but, I suppose now, you've got to take me as I am or not at all. People often leave me messages saying that I'm 'perfect' or their 'inspiration', which yes, is very flattering, but It also leaves me with a lot of guilt. I don't want you to think that I'm this perfect person - I have issues and I hate the fact that I'm not the person you see in my photos 100% of the time (god, I wish I was). Honestly, I don't even understand what other people see in me, and that's really tough considering that you are only seeing the 'positive' parts of me. I guess I've always thought that people would think I'm a total fruit loop with the amount of worrying I do and the thoughts that I deal with, so I just show you the best parts and not everything else underneath. At the end of the day, we're all human and I don't want to feel like I'm hiding anything any more or not being honest. 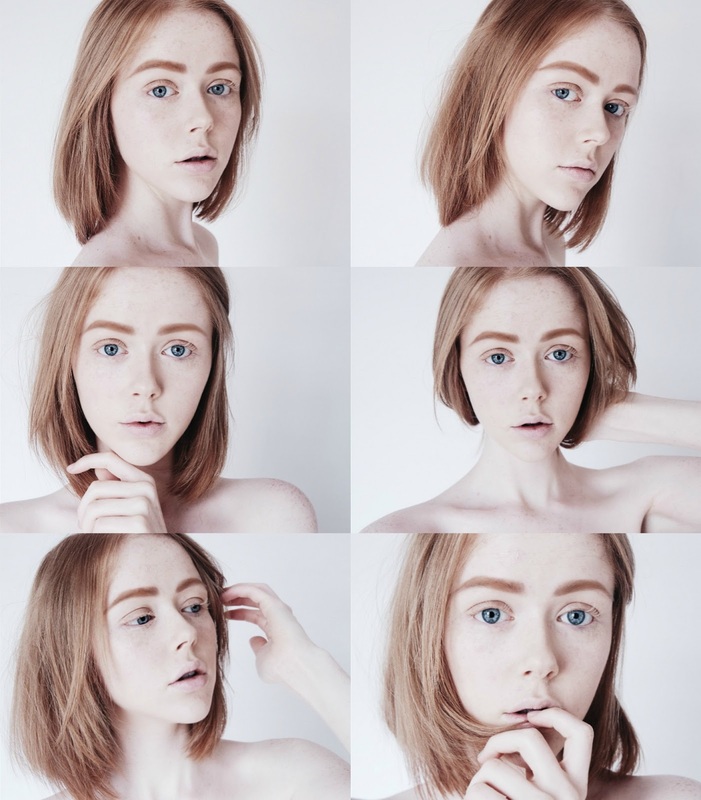 My aim with this post is to encourage people to express their pale side; to not be ashamed to show their qualities that may be considered 'inferior'. Whether that be illnesses, skin problems, or anything else. Even things like the paleness of your skin - do not hide it, embrace it. I can say that now, almost a year on from being diagnosed, I've come a long way and I've tackled a lot. Why shouldn't I express that and be proud? It's negative comments like the one about me being 'too pale' that have influenced me to not want to hide that side of me and show you that, although everything might appear hunky dory for me, it's not. Really, I don't think people can realise the impact of comments, whether they be positive or negative. Don't get me wrong, I love reading all of your lovely comments and messages, but I find it so hard to not fixate on some of the things that are said. Sadly, I know that I will ever believe the positive comments, since as I have said before, unfortunately they tend to go over my head and I only ever believe the negative ones. This makes it all the much harder to want to bare all of myself to you. But, i'm going to. 'I'm me and although sometimes that may be difficult to deal with, it's the truth and I have to deal with it. We are all inferior, no matter who we are'. If you feel like you're hiding the person you really are, or even just a part of yourself... don't. It's people like Em Ford from My Pale Skin, Meg from Meg Says and Zoe Sugg that I look up to. They aren't afraid to show who they really are and they use it to help and better the world and I absoloutley love that. Like I said, I am going to have these illnesses with me, most likely, forever. Maybe one day I will be that 100% happy person you see in my photos, you never know, but for now, I'm imperfect and that's fine by me. I am determined to accept myself and you should be too. I'd love to see you all sharing this post, helping me to encourage people to open up and #BareAllBePale. If I get anything out of writing this post, It would be to just influence at least one person to be a little more accepting of themselves and although I know that this is all easier said than done, please try and be you, every single part of you. Oh this post! I can relate to almost everything you've said here Holly... including the paleness. I also now stay far away from the fake tan since prior year disasters! I relate and agree to everything you've just said - to the paleness (I'm actually on holiday now and I'm using the fake tan build up cream because I think I will look hideous on the beach with my pale skin. Kinda shows how badly I'm influenced by society's vision doesn't it) the ginger hair, the feelings towards people thinking that everyone should look a certain way. It's awful the way I think of my body, when I should be much more confident as I know a lot of other people who are larger or smaller then me would do anything to have my body. It a shame really how everyone has that same improbable vision of what beauty is. You're very beautiful Holly and very down to earth and genuine - you may not want to hear it or believe it but it's the honest truth. Even before I read this page or saw your videos I still thought exactly that when we were in high school together. Real shame I didn't know you better but I guess that's the way things go. Well done for having so much guts to say the truth out loud. I also love that you are embracing your pale skin - it's incredibly refreshing and you have the most amazing freckles - and I truly hope you overcome your illness. Don't believe you will have to accept it as a part of your life, you can and you will conquer it.